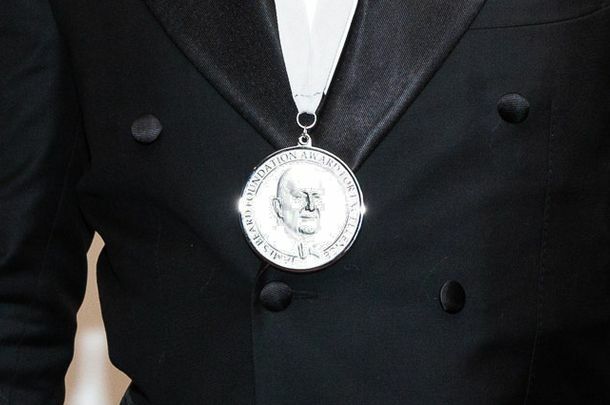 Here Are the 2019 James Beard Restaurant and Chef Award SemifinalistsCongrats to everyone who made the cut. This Year’s James Beard Awards Were a Victory for DiversityIn a welcome change, more than two-thirds of the winners were women and minorities. Paula Wolfert Is the 2018 James Beard Lifetime Achievement Award WinnerThe author has spent five decades teaching Americans how to cook Mediterranean food. Here Are the 2018 James Beard Restaurant and Chef Award SemifinalistsCongrats to everyone on the list. 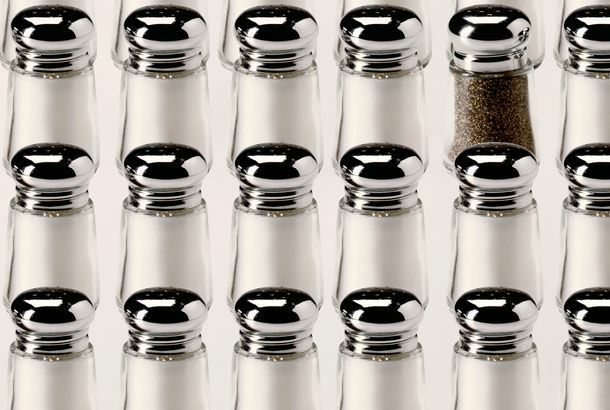 The James Beard Foundation’s Media Winners Include Victuals and Chef’s TableCrabs! So popular this year. Watch the James Beard Foundation’s Nominees Announcement LiveToday is a big day in the chef and restaurant world. Beard Foundation Reportedly Mulling Over Moving Awards to ChicagoIs the nonprofit headed west after 23 years in the Big Apple? Alex Stupak Has Big PlansWe wouldn’t expect anything less. Paul Kahan Ties With David Chang For Outstanding Chef; Izard, Aviary WinnersKahan wins top prize… with David Chang. Sacramento Food Blogger Hank Shaw Takes Home James Beard PrizeHis blog, Hunter Angler Gardener Cook, is very handsome. Sometimes It’s Nice Just to Be NominatedThe awards are on Monday, May 6. Switcheroos: Stanley Tucci Out, Oliver Platt in As James Beard Awards HostThe awards ceremony takes place on May 6. Philly Reps Hard with Multiple James Beard Media Finalists; Not So Much InOf course Marc Vetri made the cut with his eponymous restaurant. Blackbird Team Leads Chicago Beard Restaurant Nominations; Grace, Spiaggia,Chicago nominees for Beard restaurant awards. State Bird Provisions and Rich Table Head Up Strong Showing for S.F. in ThisGo S.F.! 2013 James Beard Media Award Finalists AnnouncedThe awards ceremony will take place in two months in New York. Sula Nominated For M.F.K. Fisher Award at James Beard Journo Awards; Dolinsky,Journalism awards for Chicago. 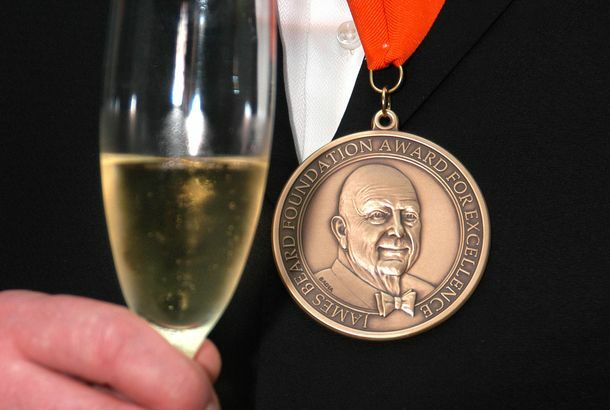 James Beard Foundation Announces Who’s Who of Food & Beverage in AmericaThe Foundation will honor its six new inductees on May 6. Stanley Tucci Hosting the 2013 James Beard AwardsAnd Ted Allen, too. Five Restaurants, Including Frank Fat’s in Sacramento andAlso: Prince’s Hot Chicken Shack in Nashville. Beard Award Semi-Finalists Announced; State Bird and Rich Table Pre-NominatedThis is the long list, which will become the short list on March 18. Kahan, Grace, Balena, Fehribach Among Beard Award SemifinalistsLots of Chicago recognition in Beard semifinalists. Next, Segal, Sherman Win Beard Awards; Trotter HonoredNext, others win James Beard awards. WBEZ, Ted Allen Win at James Beard Media AwardsEx-Chicagoan outdoes Chicagoans at James Beard journalism awards. As a Matter of Fact, You Have Seen Them In The Same Room TogetherZimmerman meets Zimmern, at last. Philly Nearly Shut Out in James Beard AwardsMany heavy hitters from Philly were shut out. 2012 James Beard Restaurant and Media Award Finalists AnnouncedHere’s who will be vying for a medallion this year. Kostow, Chiarello, Patterson, and Cosentino Lead S.F.’s 2012 James BeardAlso, AQ gets nominated for Best New Restaurant. Watch the James Beard Nominee Annoucement Live [Updated]The JBF is running a livefeed of its announcement ceremony in Las Vegas. James Beard Award Semifinalists Named; Lots From ChicagoChicago chefs are all over the James Beard Awards shortlist. What You Missed at David Kinch’s Beard-Week Pop-UpA slideshow of the meal, courtesy of Serious Eats. JBF Gets Solomonov’s Name Right and Inspires Him to Push the EnvelopeThe Zahav chef says he never expected to actually win the award. North Korea In Need of Food Aid; L.A. Times Rants About The Beard AwardsA debate is being had over whether the U.S. and South Korea should offer assistance.